Beautiful Colonial style home with over 1,800 sq. ft of living space. This home features 4 bedrooms, 2.5 baths, an open concept kitchen/breakfast/living room making it the perfect space for gatherings and entertaining. Dining room, living room, 2nd floor laundry and a full unfinished basement with walk-out for more future living space. 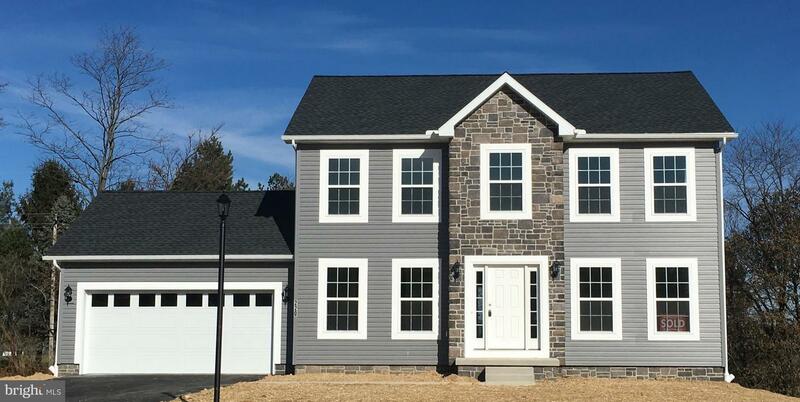 The perfect location for MD commuters and close to many amenities.Fox Run is a brand-new community nestled into the countryside just south of Hanover, Pennsylvania. With a charming, small-town feel and affordable prices starting from the $250s, this neighborhood has something to offer everyone. Home buyers even have the freedom to customize their new home to suit their individual preferences, from selecting the model to adding bonus features like fireplaces, hardwood floors, luxury baths and more.